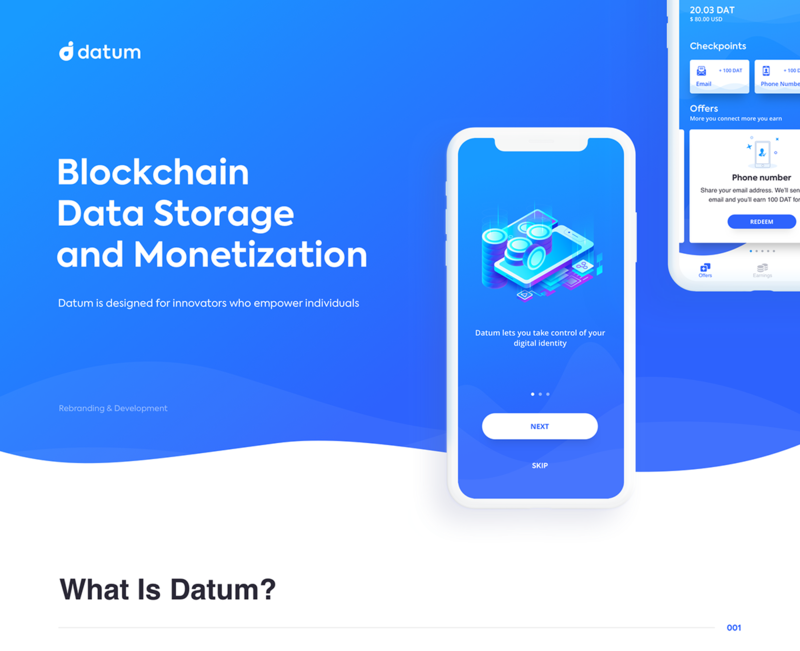 Datum is an Ethereum based decentralized storage network and marketplace for structured data. 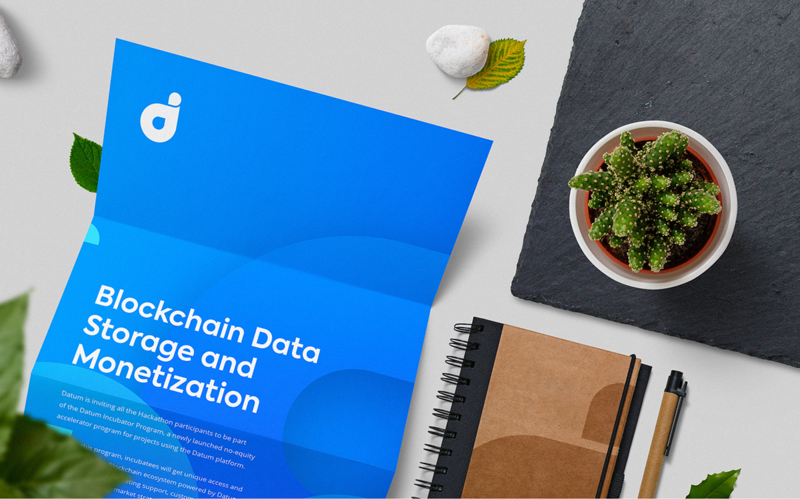 For blockchain developers, Datum provides critical infrastructure. 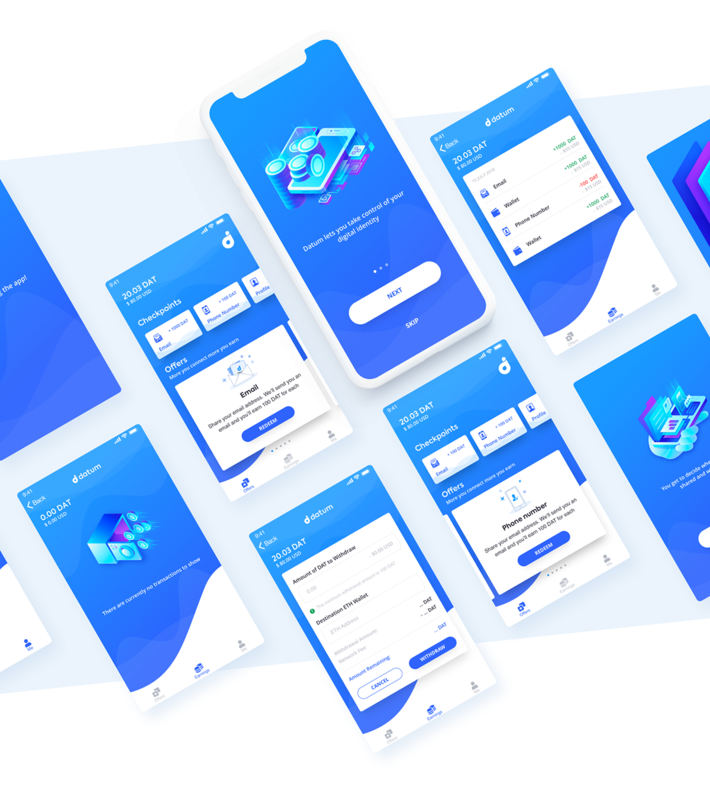 The Datum App allows anyone to control and monetize their data stored on the Datum network. Whenever one of those apps that you use on a daily basis try to use your data (like location, browsing history, etc.) you get paid. We think that sounds fair enough since they'll do it anyway. We were excited to work on this project and happy to help the team to accomplish their design goals. 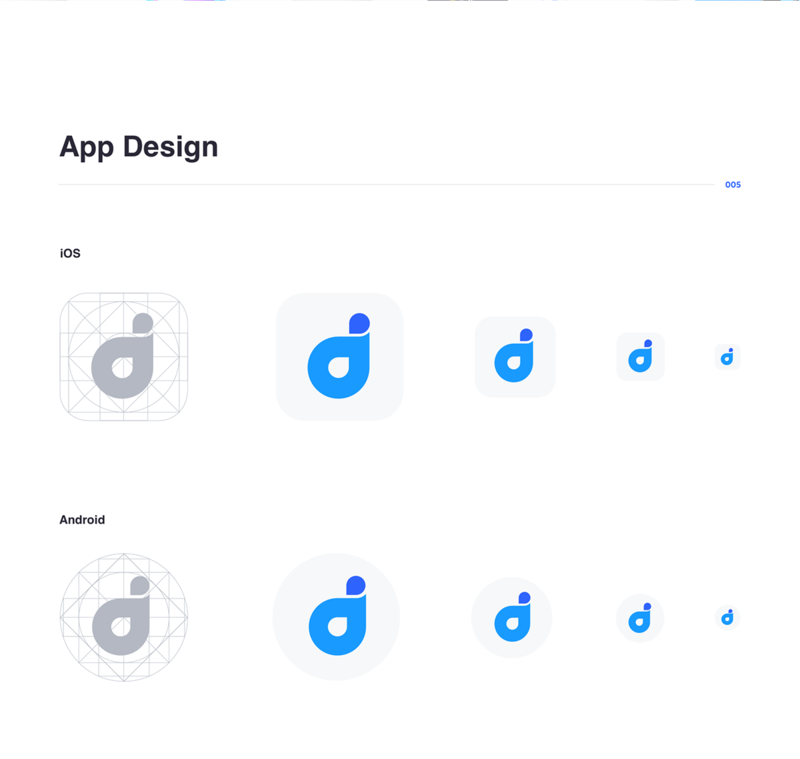 Our collaboration started with branding. 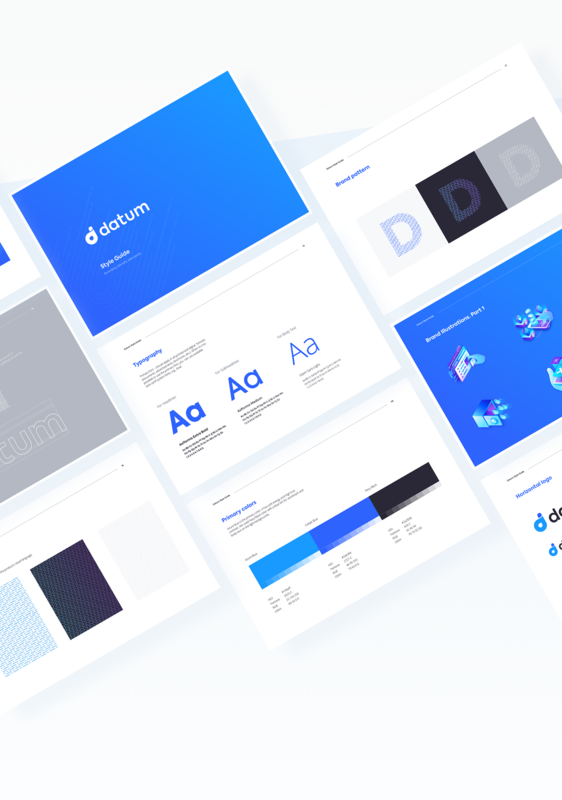 We created a new look and feel for Datum brand identity and continued working on the website and the product design. 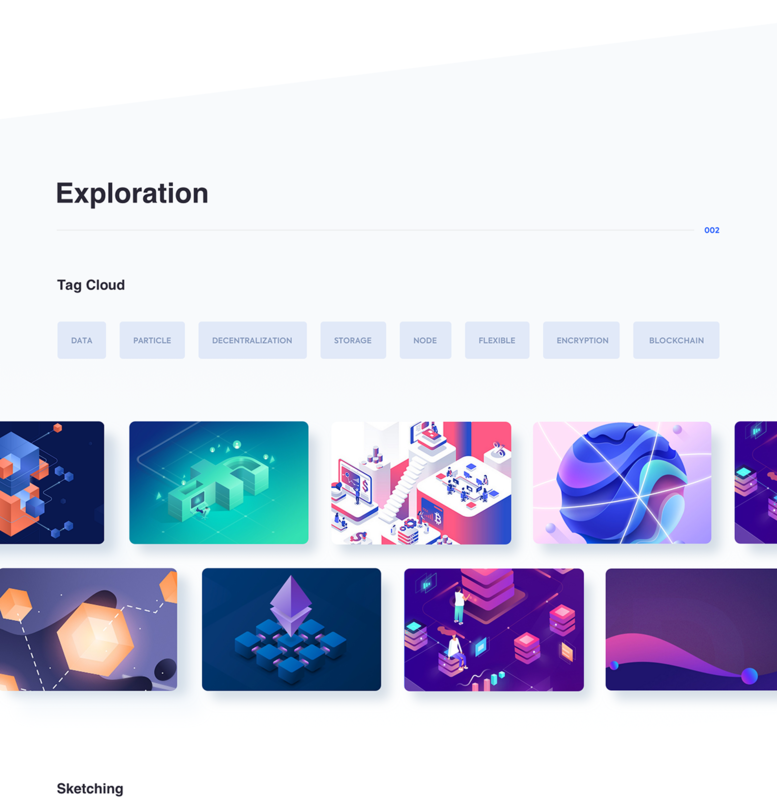 One of our goals as usually was maintaining the consistency and provide a cohesive user experience through visual language. 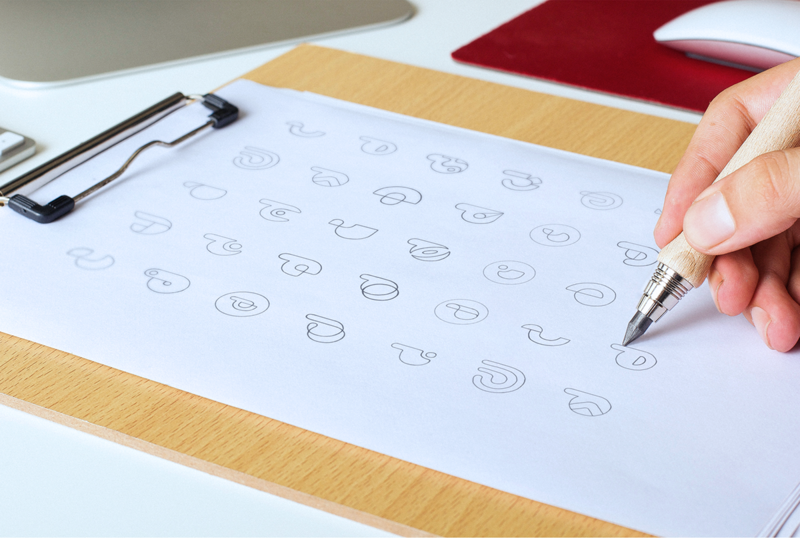 Based on our recommendations, the primary font should apply in all printed and digital formats (documents, advertisements, brochures, etc.) for titles and short bold phrases. 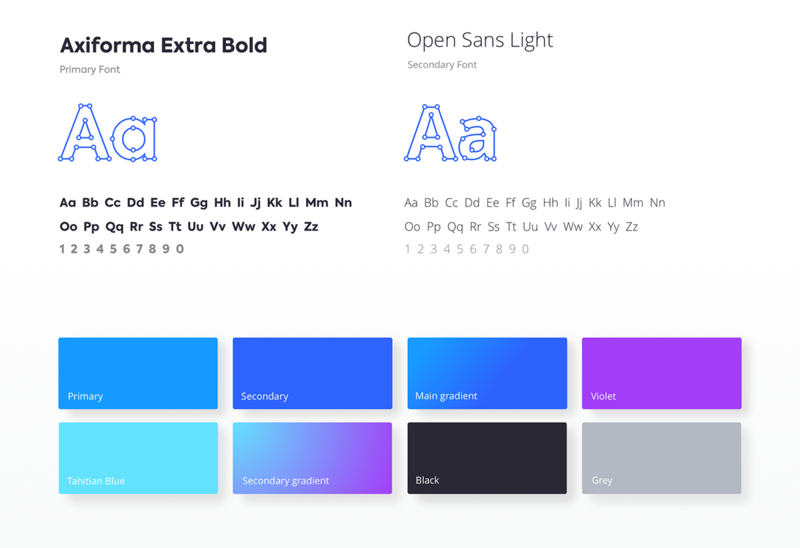 When it's not possible to use it (unfortunately, Axiforma doesn't support some languages), you can use Open Sans, or choose available sans-serif system fonts instead (e.g., Arial). 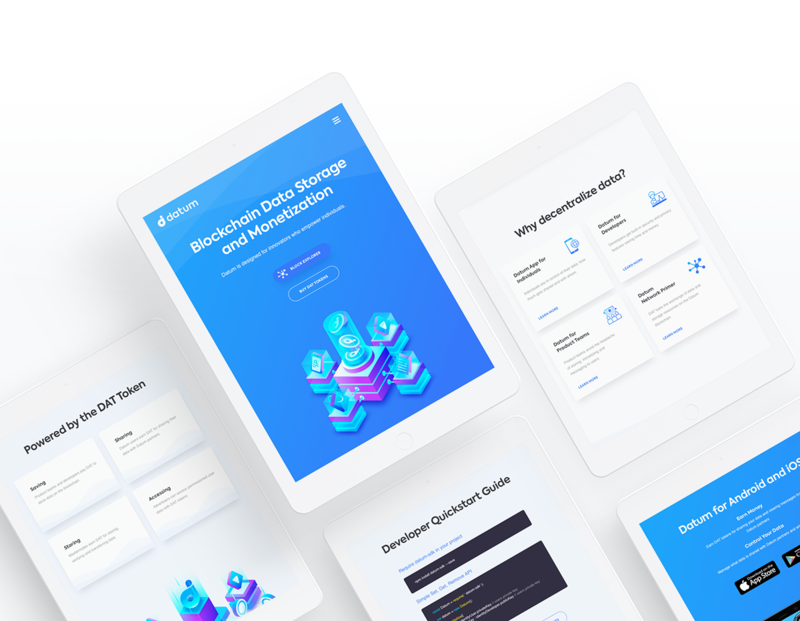 Brand identity, marketing website and mobile app UI/UX design for dicentralized data storage called Datum.org. Designed by Ramotion – branding agency.